For us millennials, the 2008 recession feels like it happened just yesterday. While we were in grade school, or working our way through high school and college, or in our first jobs, credit dried up almost completely. Many of our parents lost homes and jobs and struggled with credit card debt. Bankruptcies and credit card delinquencies soared while our job prospects tanked. It shouldn’t surprise anyone, then, that we tend to be cautious with credit cards. In fact, about a third of millennials, ages 18 to 34, have never applied for one, according to a NerdWallet study. But credit cards can help us a lot when used carefully. Credit cards give us an easy way to build credit, which can impact our access to housing, jobs and transportation. They make it easier to travel for less when we redeem rewards points and miles. And they provide a financial safety net to catch us when surprises happen and our emergency funds fall short. For millennials who have avoided credit cards — and everyone, at any age, who’s worried about getting that first credit card — here’s why I think you should take this important first step. Millennials don’t have perfect credit scores. 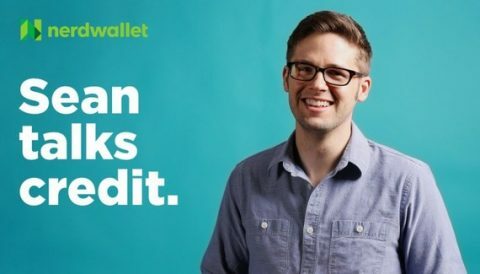 That’s because we’re young, and credit-scoring algorithms reward consumers for maintaining accounts over time. However, many of us also haven’t started building credit yet or have poor credit, and that’s something we won’t simply outgrow — it’s something we have to work on changing. Qualify for an affordable auto loan or mortgage. Good credit makes life easier. And unlike the current unemployment rate or cost of living, building credit is largely within your control. If you’re starting from scratch, you can save up for a deposit and apply for a secured card. Use just a small amount of your credit limit and pay your bill in full and on time every month, and you’ll be on your way to a better credit history. It takes at least six months of credit history to build a FICO score, so get started ASAP. Millennials travel just as much as other generations, a NerdWallet survey found. But as a group, we also tend to earn less. As a result, many of us are taking trips on tighter budgets. I’ve found that credit card rewards can make travel a lot less costly. As my wife and I pay down our student loans, we’ve often used our credit card points and miles to pay for airfare or lodging, rather than shelling out thousands of dollars on each getaway. This strategy has made our family vacations a lot easier on our wallets. Many travel cards come with sign-up bonuses worth $400 or more, which can sometimes be redeemed to cover a range of travel purchases. These tend to be bigger than sign-up bonuses on cash-back credit cards and can often cover one or two roundtrip plane tickets. And all rewards cards, cash-back or travel, help you earn more with every purchase you make. Think of it as a tiny rebate on everything you buy. These points, miles and cash back can add up to hundreds of dollars each year, which you can put toward your next trip. Cash or debit may seem safe when we’re traveling. Perhaps that’s why half of millennials said they didn’t use credit cards to pay for lodging and transportation on their last trip, according to a NerdWallet survey. But the fact is, credit cards offer better liability protection from fraudulent purchases than debit or cash. And beyond rewards, they can help you save in plenty of other ways. With the right card, you’ll get other benefits, such as free checked bags, no foreign transaction fees, primary rental car coverage and trip interruption coverage. I know firsthand just how difficult it can be — and also how important it is — to find a job that really fits. In fact, 44% of millennials say that if given the chance, they’d leave their current employer within two years, according to a Deloitte study. The study also found that millennials were more interested in pay and financial benefits and a good work-life balance than working for a leading company that people admire. But starting a new job, even a really good job, always exposes you to certain amount of financial risk. Maybe you decide you don’t like your new company, or there’s a sudden layoff, or your hours are cut without warning. This might throw your financial life off-kilter if your emergency fund isn’t as robust as it should be — which it probably isn’t. A much-talked-about study from the Federal Reserve found that 47% of people said they either wouldn’t be able to come up with $400 for an emergency expense or would cover the cost by selling something or borrowing money. You might not need extra money right now. But if you ever do, having access to credit — and the ability to qualify for a card with a 0% annual percentage rate — could make a world of difference. Carrying a credit card in this case isn’t just a smart defense. It also gives you the financial security to take some calculated career risks that could pay off in a big way. You could leave your salaried job to accept a gig as an contractor in a field you really care about, for example. Or you could take that high-paying job in a big city, even when your savings account isn’t yet big enough to cover the move. The financial damage caused by the recession is still fresh in our minds, and it’s shaped our generation’s attitude toward money. We’ve seen loved ones lose half of their retirement savings in one year, contend with foreclosures and suffer from layoffs. We know bad things can happen without warning, and we want to be prepared. But cash and debit cards won’t always help, and we might not always be able to count on our family and friends for a loan. Applying for a first credit card is a good way to start safeguarding your personal finances. Your first card might not come with the flashiest benefits, but it will give you access to credit when you need it and a way to build a robust credit history. And eventually you’ll be able to qualify for better terms. Getting started is the hardest part. Once you’re building credit, it gets easier. Maybe resilience is our generation’s superpower.